"I would drape myself in velvet if it were socially acceptable." Okay, so who knows which show the above "classic" quote is from?...and no cheating! I looove big shawls like this, especially in an animal print. Being wrapped up in a big comfy fabric just screams fall and I gotta say, as much as I love summer, I think I am ready for the change in season. I am all about oversized comfort for fall and this piece has set the stage! This entry was posted on Wednesday, September 25, 2013 and is filed under animal print,brown,prints. You can follow any responses to this entry through the RSS 2.0. You can leave a response. it is fabolous! just love it! look so comfy! 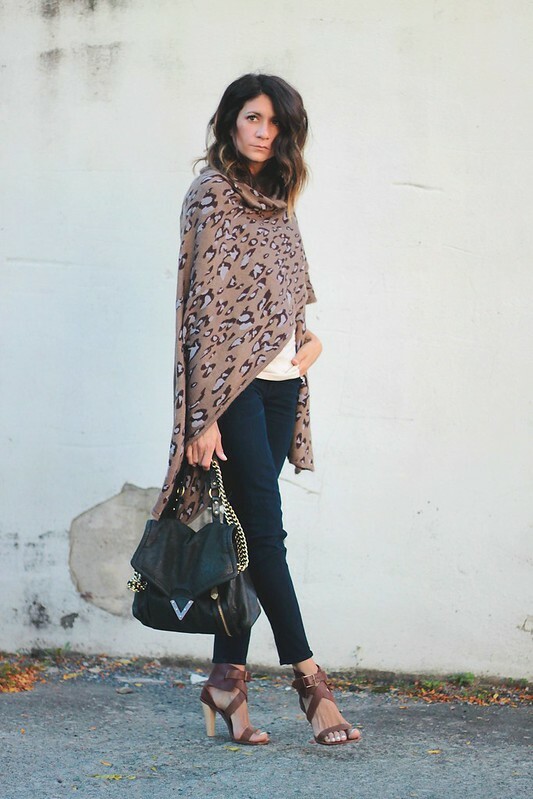 Love your leopard cape and shoes! And the quote was said by good old George Constanza. Love it!! Wow this leopard print shawl looks wonderful, it hangs so beautifully! I love how it looks with just a simple top, jeans and those super chic heels :) I recognise the quote but couldn't tell you said it. I love this! Saw it on your insta feed...perfection. This shawl is so you and so awesome. I LOVE it. And it looks amazing on you! Ooooh I love that poncho! Great look for fall! I love the look of your loose, slightly windswept hair, and that shawl does look very cozy for this time of year! Gorgeous pictures and fabulous outfit. 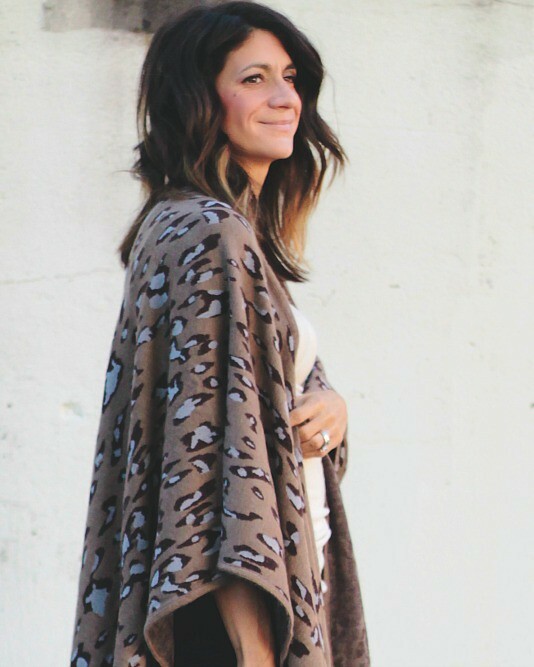 Love the leopard shawl! It's gorgeous! I have a friend who makes pieces like this and they're so gorg. I need to pick up one! I LOVE shawl/kimono pieces...this is stunning!! That shawl is absolute perfection.